The most fun you'll have all week! 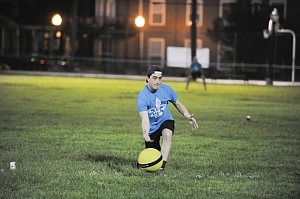 Join New Orleans’ BEST Adult kickball league! 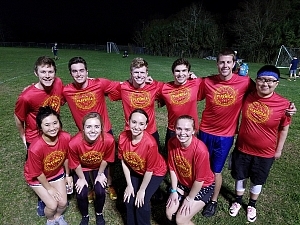 Located at Annunciation Square and The Quad at City Park, PLAYNOLA’s co-ed kickball league is the perfect combination of fun and competition. Wear your costumes, grab your ice chest and get ready to make this the highlight of your week. Register with a team or as a Free Agent, and we’ll help you find a home... it's just that simple! $10 Discount for Teachers, Firefighters, Police, and active duty Military. $20 off for Americorp. To redeem your discount, email or call with name, email, & proof of employment. Some discounts only valid for the Wednesday night league. Questions? Need help? Check out our FAQ page. Answer not there? Contact us by email play@playnola.com or by phone (504) 708-4330.